IPK at reports that the German History Institute in Munich is planning to publish an annotated version of Adolf Hitler’s controversial Mein Kampf in 2015. [IPKat] Banned in Germany, the proposed publication date corresponds with the date the book falls into the public domain - seventy years after Hitler’s death. In response, the Bavarian State Government, which took over rights to the book at the end of World War II, has pledged to continue its efforts to suppress the book after its copyright expires. The Institute's intention to publish Hitler's autobiographic rant in Germany recalls another Hitler copyright battle, a time when Hollywood scrambled to secure Hitler's copyright and life story rights. In his memo he stressed that “I hope there is no nonsense about whether this is copyrighted or non-copyrighted." The Hitler project, which Selznick hoped to attach Ben Hecht and Alfred Hitchcock to, was scuttled by the U.S. Government and, thus, never produced. 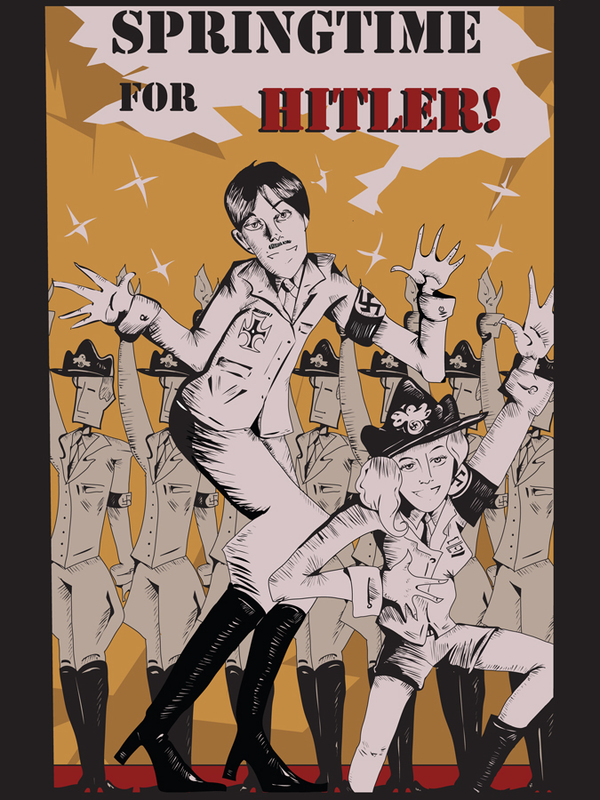 Parenthetically, Mel Brooks did not option Adolf Hitler’s life story rights for his musical (Springtime for Hitler ) within a movie (The Producers ), relying instead on the First Amendment. Under the First Amendment, no one owns their life-story rights. The Modesto Bee (1/2/42), Louella O. Parsons' column, "Selznick Plans Film on Hitler from Psychopathic Standpoint"